Digital Billboard at 1333 Westwood Blvd. More than a year after three neighborhood groups and the Coalition to Ban Billboard Blight formally appealed the issuance of permits for three digital billboards in the Westwood area, the city’s office of zoning administration has ruled that two of the signs violate local zoning regulations and that the Department of Building and Safety improperly issued permits for converting them from conventional to digital. The ruling comes on the heels of an L.A County Superior Court judge’s decision striking down the city’s lawsuit settlement agreement that allowed Clear Channel and CBS Outdoor to erect 840 digital billboards citywide. To date, permits have been issued for 101 of the signs, but the judge declined to void those permits, saying the city should handle the matter administratively. The ruling by associate zoning administrator Patricia Brown dealt with permits issued for the digital conversion of two billboards on Westwood Blvd. and another on Santa Monica Blvd. The Westwood Blvd. billboards are in community “overlay” zones that prohibit signs that “flash, move, or have the appearance of movement.” In her ruling, Brown said that the digital billboards that change advertisements every eight seconds violate the “purpose and intent” of those regulations. 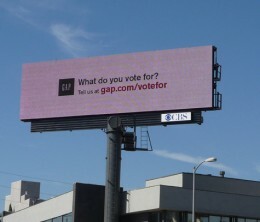 The digital billboard on Santa Monica Blvd. was challenged on the grounds that the street is designated in the area’s community plan as a scenic highway, which requires strict control off-site advertising. In her ruling, however, Brown said that because the city never adopted an ordinance specifying those controls, she could not find that the building department improperly issued the permit. Brown did point out that the billboard originally permitted in 1984 violates several provisions of current sign regulations, including extending beyond a lot line and over a public sidewalk. She also noted that no permit exists for a second, non-digital face that was added at some point to the billboard. That billboard is owned by Clear Channel, along with one of the two on Westwood Blvd. The other is owned by CBS Outdoor. The neighborhood groups initiating the appeals were the Westwood South of Santa Monica Homeowners Association, the Comstock Hills Homeowners Association, and the Westwood Homeowners Association.